Most people do not know that Mariano Fortuny was actually a Spanish fashion designer and inventor. He was also a painter and maintained a life long attraction to textiles. His work is iconic and long associated with his last home in Venice. 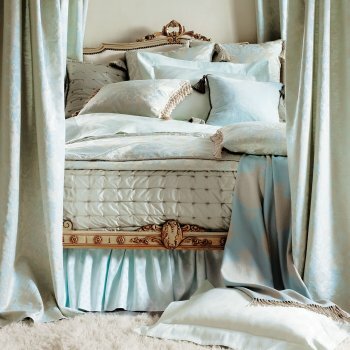 These ash colored silk sheets are an accurate reflection of his textile brilliance. 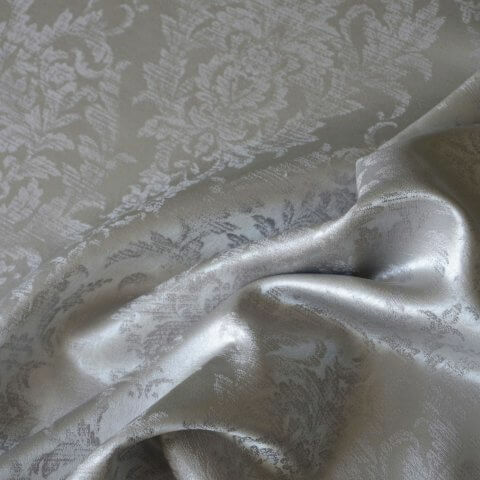 Our Korona silk sheets are made from 100% silk sateen woven in a Fortuny-inspired design with an antique, dégradé effect. 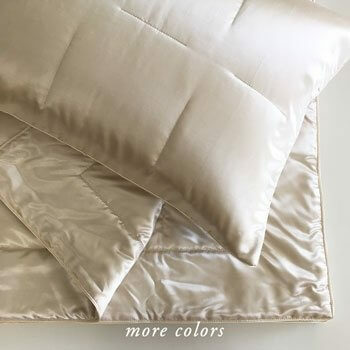 Unbelievably smooth and soft, silk sateen sheets have no friction, making them the perfect pampering for face, skin, and hair. Simply luscious. 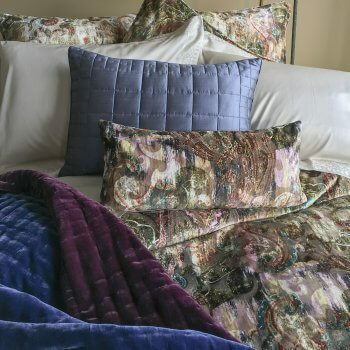 Often thought of as the ultimate luxury, silk sheets actually have many practical features that contribute to quality of sleep and overall health. Silk keeps you warm when the temperature is cool and cool when the temperature is warm. Silk is hypoallergenic. Naturally occurring proteins and amino-acids contribute to maintain the moisture in your skin. 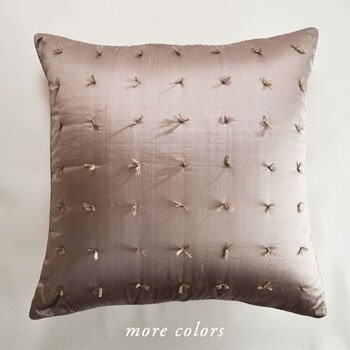 Sleeping on silk pillowcases reduces hair breakage. 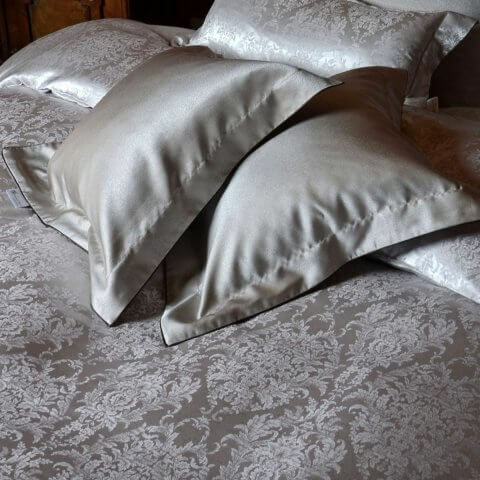 Due to the silk content of this fabric, bottom sheets are not fitted. Finished with a plain finish. 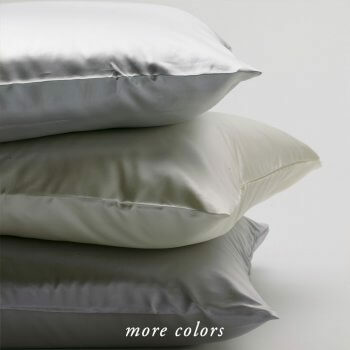 Sheet sets include top and bottom sheets; cases and shams are sold separately. Duvet covers are sack style, and have a blind button closure. This product is made to order, actual lead time will be communicated within 24 hrs. of ordering.